PHILIPSBURG – Opposition members of parliament were firing on all cylinders during Monday afternoon’s continued meeting about the financing agreement for the airport-reconstruction. Prime Minister Leona Romeo-Marlin and Minister of Tourism and Economic Affairs Stuart Johnson were on the receiving end of their at times vicious remarks that culminated in a motion of no-confidence against the prime minister (see related article). The prime minister opened the floor, providing answers to questions posed by MPs during a meeting on January 21. Management and board of the airport fully support the financing plan that offers a $50 million grant to the government and a $50 million loan from the European Investment Bank to the airport. Both the grant and the loan will be provided to the airport under the same conditions: 4.45 percent interest, a 20-year loan term and a 5-year grace period. 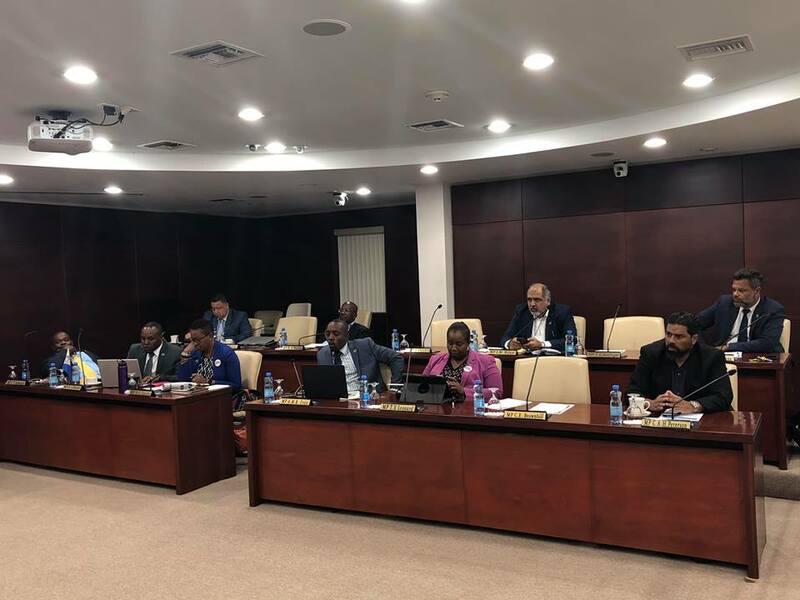 The government’s loan to the airport is included in the draft 2019 budget that will be submitted for handling by February 19; no budget amendment is needed, the PM said. Romeo-Marlin repeated that she had offered positions on the airport’s board and management team together with St. Maarten’s representative on the trust fund’s steering committee, former PM Marcel Gumbs. Miguel Alexander has been appointed to an ad hoc committee that will advise the Council of Ministers about the implementation of the conditions attached to the grant and the loan. Minister Stuart Johnson, who was absent during the first meeting, spent approximately half an hour to speak about the achievements of his ministry during the seven months he has been in office. He addressed his presence in parliament, saying that he had attended four different meetings. Opposition MPs later pointed out that their criticism is geared towards his absence in meetings of the parliamentary committee for Tourism and Economic Affairs; he allegedly did not attend any of these meetings. Johnson spoke about the rebound of the hotel industry, his presence at a meeting with top cruise executives (“it was not a gay cruise”) and how he kept working in the face of a motion of no confidence proposed by the opposition. Answering concerns expressed by MP Rolando Brison, Romeo-Marlin said that there is a “draft term sheet” – a document containing the conditions attached to the airport grant and loan. The meeting will reconvene on Thursday at 3 p.m.